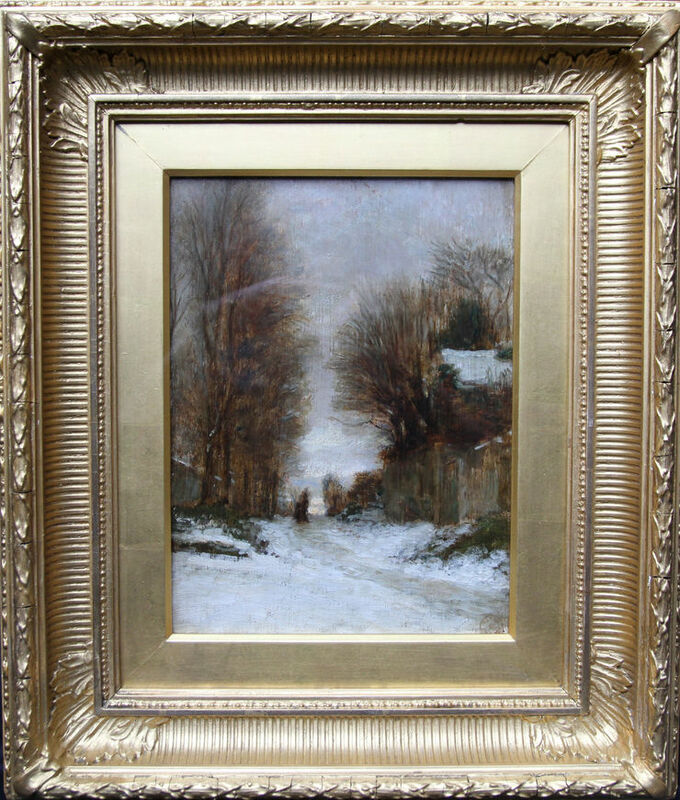 This French snowy landscape painting is by Pierre Edouard Frere and was sold at his studio sale at Christies in 1887, the year after his death. This is a lovely example of his work, painted on panel circa 1860, and an example of the beginnings of French Impressionism. 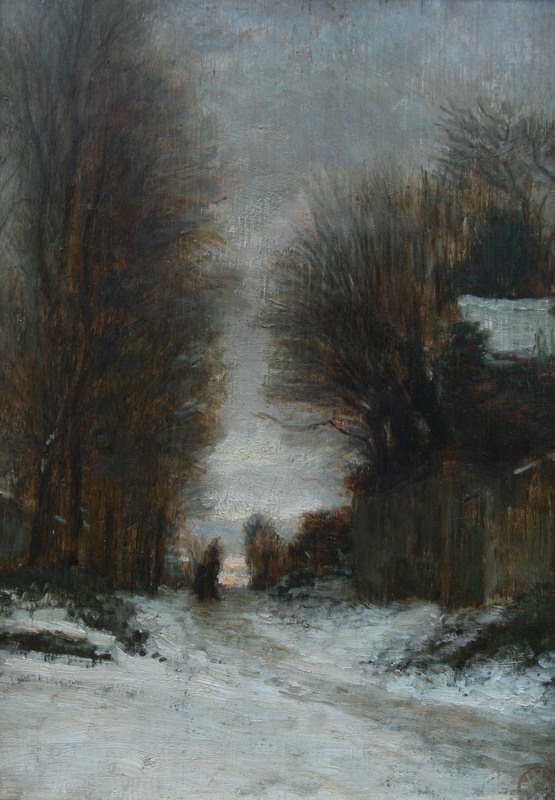 He painted other snow scenes at Fontainebleau. This was painted during that period with light brushwork and delicate skill. Christies artist studio sale 31 March 1887. Housed in an Empire frame 18 inches 14 inches approx. "…about the by-ways of France, dressed in farmer’s gray, chatting in barn-yards and hay-fields with peasants, getting into their good graces, and delighting them with his bonhomie and his pretty pictures." In immersing himself in the people whom he was depicting, his art was given this unique and appealing sense of the truthfulness.